SEOUL--(Korea Newswire) August 20, 2012 -- GM Korea launched the 2013 Chevrolet Aveo and started sales of the upgraded model nationwide today. 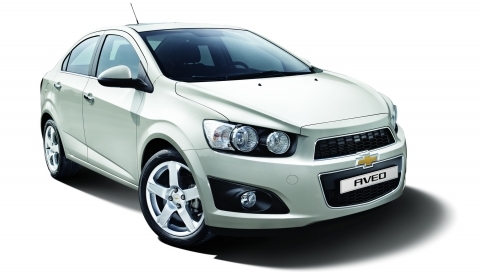 The Aveo has been warmly received around the globe thanks to its dynamic performance and outstanding safety. 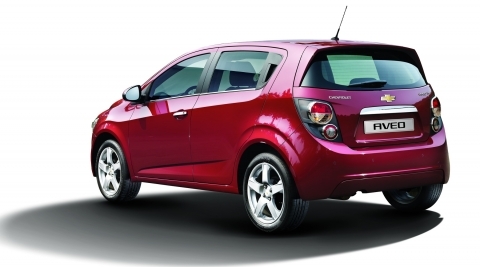 With the launch of the 2013 Aveo, GM Korea is introducing Chevrolet MyLink, GM’s next-generation infotainment system, for the first time in the small car segment. It is also offering the next-generation (Gen II) six-speed automatic transmission, which further enhances fuel efficiency and handling. In addition, ABS and curtain air bags are being provided as standard for all trim levels, taking the Aveo’s proven safety to another level. Chevrolet MyLink will be available in the brand’s global mini, small and compact cars. MyLink features a 7-inch full-color, high-resolution touch screen. With the touch of a finger, it can display music, movies, video clips and photos from a USB drive. Another useful feature of MyLink is its mobile phone integration. Mobile phones can be easily connected with the MyLink system via Bluetooth or USB for phones, allowing owners of compatible devices to bring their own media into their vehicles. Phonebooks from mobile phones can also be displayed on the touch screen, enabling drivers to make or receive a phone call with a single touch of the display. In the near future, additional specialized smartphone applications for the MyLink system, such as a smartphone navigation application, will be developed for better personalized infotainment and smartphone integration. The next-generation Gen II six-speed automatic transmission is also new in the 2013 Aveo. The new transmission enhances fuel efficiency with VFS (Variable Flow Solenoids) and an ECM (Engine Control Module) Controller. During high-speed driving, it achieves better fuel economy than a manual transmission. Faster response time and shorter shifting time offer more dynamic yet stable driving. The Aveo received a maximum five-star (★★★★★) safety rating in U.S., European, Australian and Korean NCAP testing. It was selected a Top Safety Pick by the IIHS in the U.S., a Best in Class Car of 2011 by Euro NCAP and a Safe Car of 2011 by the Korean government. Trim levels have been changed in response to the feedback of customers. The L Star trim level has been newly added for more value-oriented car buyers. The LS Premium trim level is offered with high-class interior materials, heated seats and 16-inch alloy wheels. The LT Premium trim level now features an electronic toll collection system and 17-inch alloy wheels. The 2013 Aveo comes with the fresh new exterior colors of New York Red, Chi-Chi Grey Metallic and Alexander White Pearl, which is the first Pearl color in the small car segment in Korea. 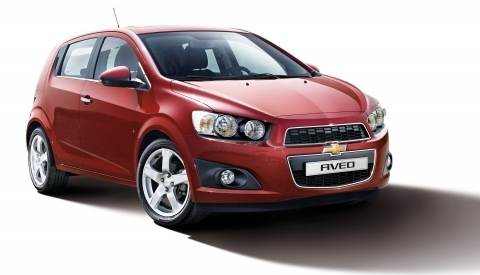 The 2013 Chevrolet Aveo’s price starts from KRW 12.49 million for the sedan and KRW 12.69 million for the hatchback.